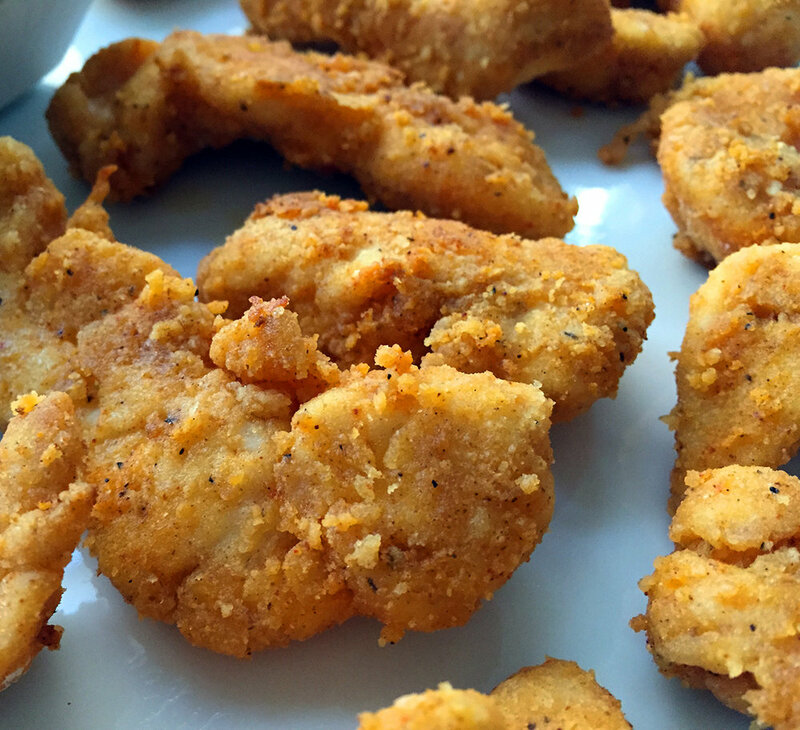 These chicken strips are so incredibly moist on the inside with a great flavor. In this case it did mean that the strips were a little less crispy overall, but they weren't soggy by any means. I might suggest broiling them for a minute or two at the end to really crisp the outside breading up. Either way, I was delighted to achieve this taste and crispiness through the baking instead of frying thanks to Cake's Cottage recipe. I had the hardest time trying to figure out what to name this because I cut the chicken into so many different sizes. 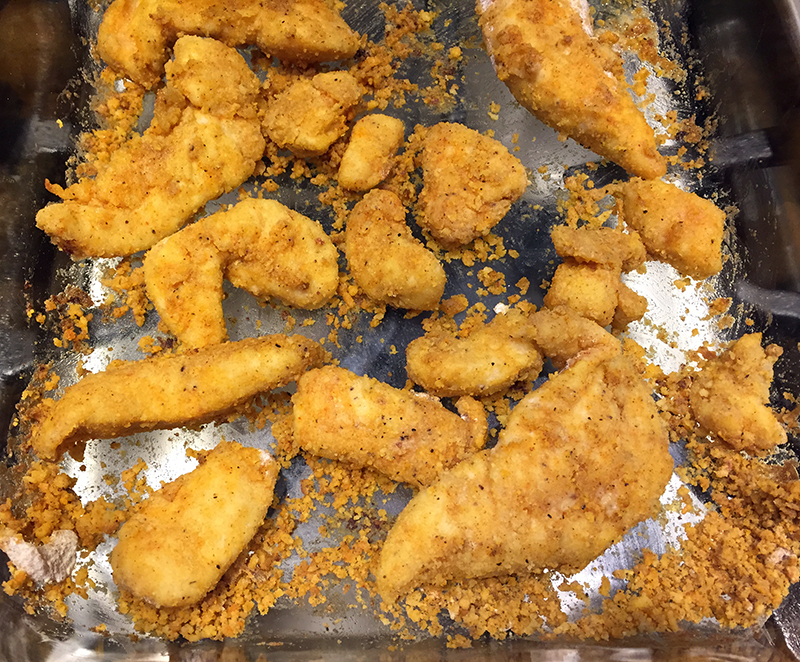 What makes a strip from a tender from a nugget from popcorn chicken? Quite the mystery. In the end strips seemed like it gave the most leeway as far as size! Cook Time: 20-25 minutes, or until chicken is completely cooked through. Trim the fat off of the chicken breasts and cut them and into strips. 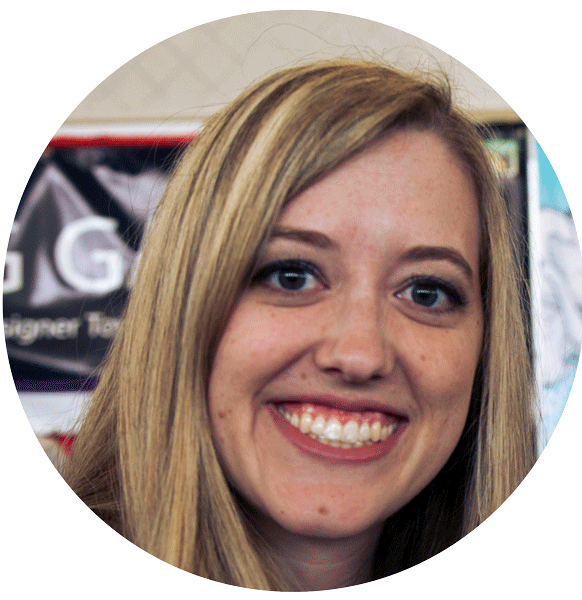 I made a bunch of small strips but you could also cut each breast into 3 strips if you wanted larger strips. 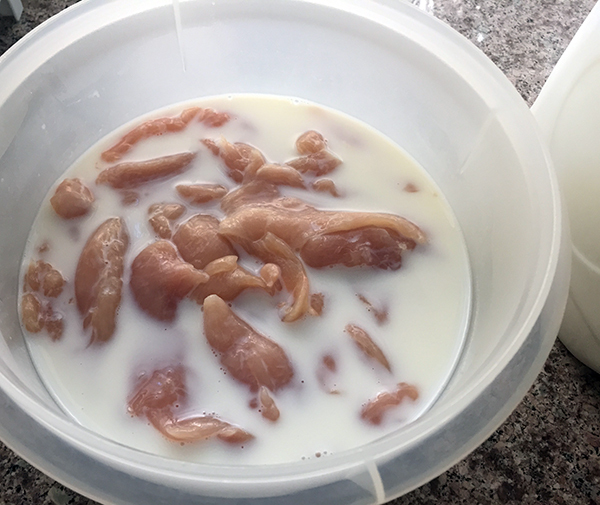 Place the strips into a bowl and then add the milk on top. Let it soak for 20-40 mins. While waiting for the chicken to soak, let's prep the flour mixture. 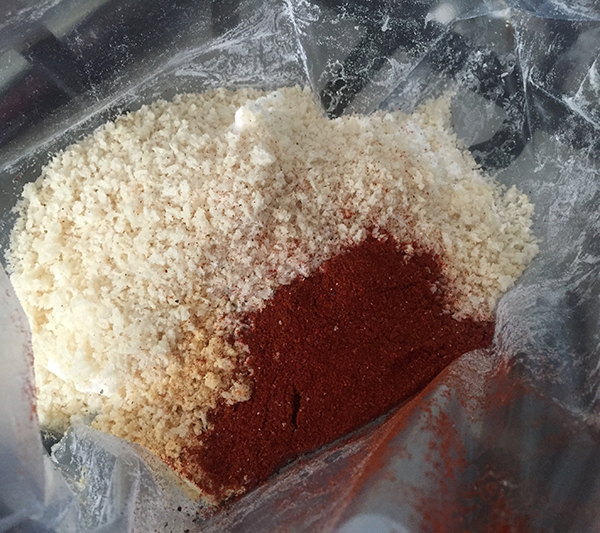 In a large Ziploc bag mix together the flour, breadcrumbs, garlic powder, salt, pepper and paprika. Set aside for now. There's still more time for the chicken to soak!? Well good thing we still need to butter the pan we'll be baking the chicken in! Grab a 9x13inch pan, cut the butter into a few pieces, and place them in the pan. Melt the butter in the microwave and spread it across the bottom of the pan, ensuring there are no unbuttered spots. Chicken is ready! Strain the milk and shake off any excess from each strip. 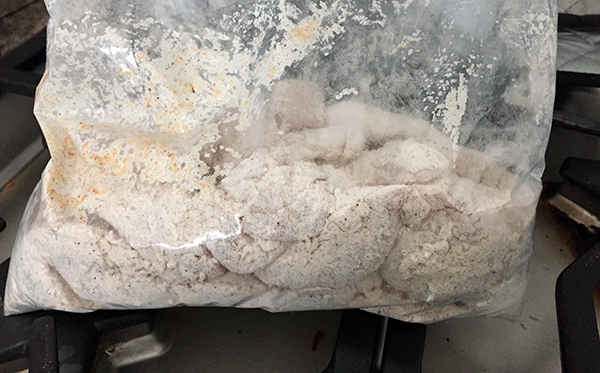 Place the chicken strips in the ziploc bag and shake to coat. I separated the chicken into three batches for coating. 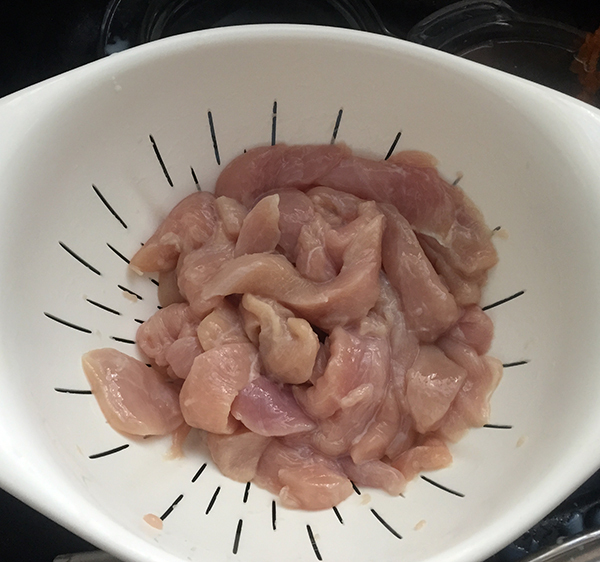 Arrange the chicken strips in the pan, ideally leaving space in between each strip. I kinda did that but not really. It turned out alright. 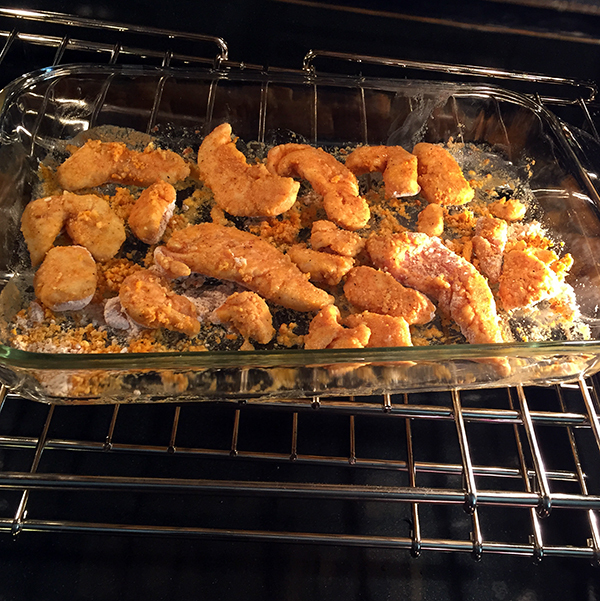 Put the chicken strips into the oven for 20-24 minutes. Optional: You can bake it for an additional 5-10 minutes if it's not crispy enough or if you used larger strips. You just don't want to dry out the chicken. 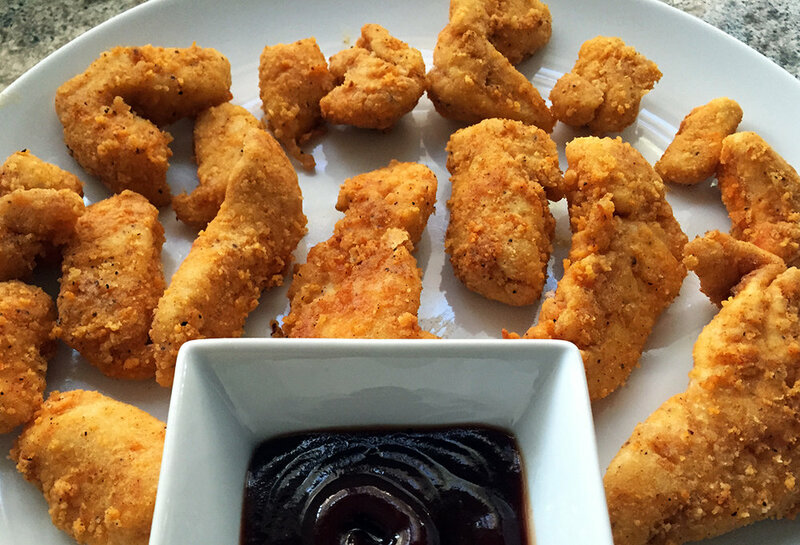 Remove the chicken strips from the oven, pat them down with paper towels, and serve with your favorite dipping sauce! I used Ray's BBQ Sauce but you could also grab marinara sauce or ranch dressing. The choices are almost endless.